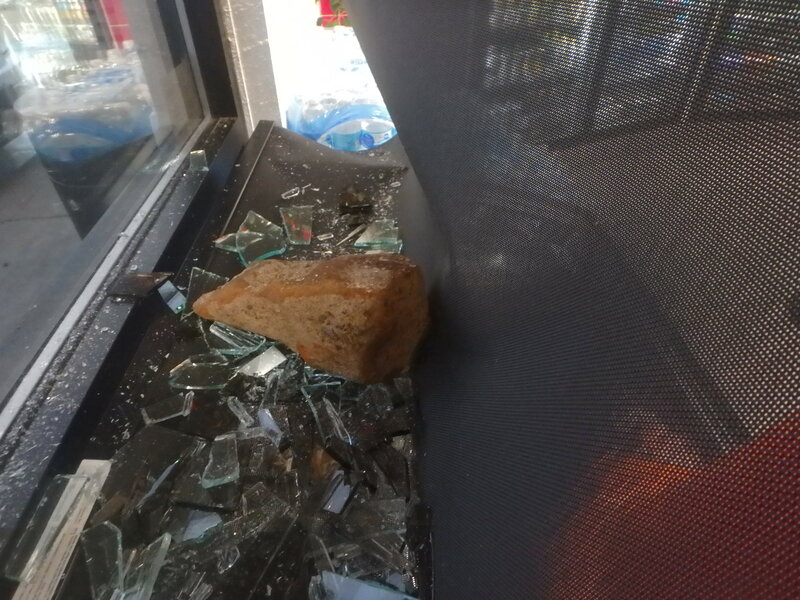 A travel plaza west of Salina was vandalized when someone through a large rock through the window of the facility. 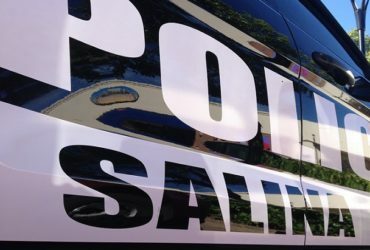 Saline County Sheriff Roger Soldan tells KSAL News that authorities are looking for a male suspect who was seen on security camera footage throwing a rock through the window of Singh Travel Plaza, 2124 N. Hedville Rd. According to the security footage, the crime occurred at 10:19 p.m on Monday night. The damage was not discovered until the following morning at 7:19 a.m. The suspect appears to be a male, driving a Honda Accord and he brought the rock with him. The suspect’s face appears to be covered up in the security footage. Soldan says that damage to the window is estimated at $800. Deputies have no suspects at this time, but are asking for the public’s help in locating the suspect. We need your assistance in identifying this suspect. Occurred 1/14/19 at the Singh Travel Plaza, 2124 N Hedville Rd. Suspect threw a rock thru the window of the business causing an estimated $800 in damage. If you have information leading to the arrest of this individual you may be eligible for a cash reward. Call Salina/Saline County Crimestoppers at (785)825-TIPS.